A view down Swirral Edge from the summit of Helvellyn. 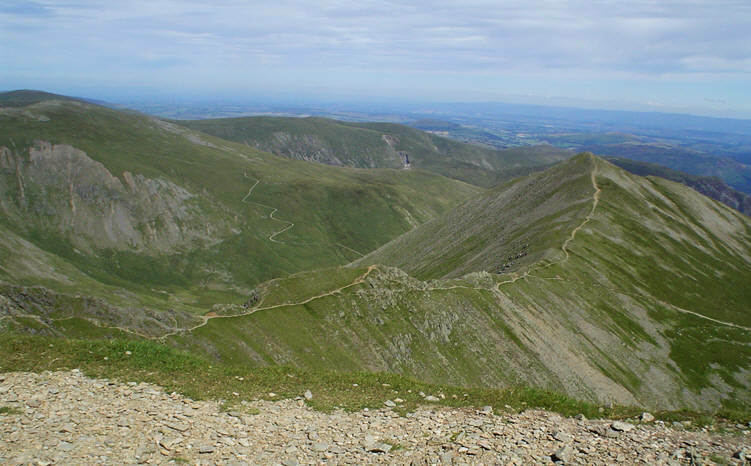 The path along the edge continues to Catstye Cam, while to the left we see Red Screes and Raise. This shot was taken on an impressively clear day, with the line of the Pennines clearly visible in the distance.